We are very selective about the outdoor furniture we offer. Quality, comfort and beautiful design are important. We only sell furniture from reputable suppliers. Whether you choose teak, wicker or metal for your patio—or a combination of all three—you can feel safe in the knowledge that you are buying a product of the highest quality that you will enjoy for many years to come. First Grade Teak: When a log is cut at the mill, each piece of timber that comes from it is graded for quality. First grade teak is the best because it makes the cleanest, most stable product. Lesser grades may contain wormholes, knots and general imperfections. Barlow Tyrie uses only first grade teak—not everyone does. Comfort & Design: Straight grain Java teak is kiln-dried to ensure stability and triple sanded on all sides for a velvet smooth finish. Care is taken to ensure that armrests are at the correct height, backrests are at the correct angle, and seat height is correct relative to the height of their dining tables. Wood slats are spaced close together for maximum comfort. Solid Construction: Furniture is only as strong as the joinery that holds it together. Barlow Tyrie uses solid teakwood with doweled mortise and tenon construction, the strongest manner to join wood together. All components are shaped from solid teak—Barlow never uses glued finger joints, which compromise furniture's quality and appearance. Durability: Barlow Tyrie uses only solid teak dowels and marine grade brass and stainless steel fittings, so your furniture will last for years to come. Their contemporary, mixed-material pieces feature durable, weather-resistant synthetic fabrics and powder-coated metals to ensure longevity in most climates. Cane-line, a Danish design company, has been around for more than 30 years. This experience results in functional and comfortable furniture which has been designed and manufactured to convey the company's vision of making life more comfortable. Cane-line's collections make for fun and timeless outdoor living showcasing Scandinavian colors and innovative designs. Socially Responsible & Sustainable: Cane-line is certified according to the international standards (ISO14001 and SA8000) and thus committed to safeguarding people and the environment. Standards of fair wages, no child labor, saving resources through recycling and cleaning of wastewater are applied to both, Cane-line and their suppliers. Comfort—A Core Value: Comfort for Cane-line means many things at once: how easeful and relaxing you sit or lay; how smooth the furniture functions; low maintenance and long-lasting materials. 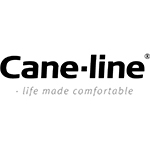 Cane-line Designers: Every design integrates Cane-line's mantra of "life made comfortable." Their leading designers come out of the Danish design tradition, which is well-known for its craftsmanship, quality and unique expression. Gloster's roots can be traced back to passionate entrepreneurs and furniture makers of the 1960s. Today, Gloster manufactures timeless, beautiful outdoor furniture with the same passion, conviction and pride. The intent along the way is always the customers pleasure creating fine outdoor furniture to be enjoyed year round. Gloster Teak: Every piece of Gloster teak originates from carefully managed plantations and is thoroughly inspected to ensure highest quality. In the end the close-grained hardwood is given a soft natural finish or a beautiful buffed sheen for exceptional beauty. Skills & Loyalty: Each of Gloster's outdoor furniture pieces showcases finest craftsmanship where human hands have created every rounded corner and every joint. The company takes good care of their crafts people, who have worked their trade for years and exclusively work for Gloster. Tradition & Progress: Gloster values history and tradition, creating furniture that customers love and like to live with. But it also knows the importance of looking forward and outward by creating inspired furniture everyone can relate. Transparency & Honesty: Trust and respect are the core values at Gloster. Gloster understands its resources: each piece of wood can be traced back to its origin; wood is planted by plantation workers, whom Gloster has known for a lifetime; teak is harvested after a minimum of a 50-year lifecycle. Customers' trust and respect towards the worlds resources and its people is what matters most to Gloster. Great Design: Gloster currently works with several world-renown designers to create beautiful, fashionable, sustainable and dynamic outdoor furniture of the highest quality. Every designer has to travel to and spend time at Gloster's factory so they get to know the people, the raw materials, the manufacturing processes and the Gloster philosophy. Since 2007, Mamagreen has manufactured eco-friendly outdoor furniture, blending comfort, functionality, and style with quality. All Mamagreen furniture is suitable for residential or hospitality use. Mamagreen recognizes the importance of minimizing the impact of manufacturing on the environment. They use exclusively reclaimed teak, recycled aluminum and stainless steel in their furniture. All Mamagreen Batyline textiles are 100% recyclable. Additionally, almost all of Mamagreen's shipping cartons are made from 100% recycled fiber, with at least 35% post-consumer material. All materials are selected for their weather-resistance, ease of maintenance, and quality. Mamagreen hand-finishes each piece to ensure trouble-free use in any climate. Germany-based Rausch Classics has been producing elegant, high-quality outdoor furniture for nearly fifty years. Their consistent use of top quality construction, innovative materials and timeless design elements ensures that their furniture will look great for years to come. Outdoor Wicker: Rausch's natural-looking synthetic wicker is resistant to sunlight and rain, easy to clean, and insensitive to differences in temperature and climate. That means it will remain supple and resist tearing even if left out in the rain. The Palm Beach deep seating collection features solid teakwood frames, while the coordinating synthetic wicker dining tables and chairs are built with sturdy—but lightweight—aluminum frames. All are available in your choice of Natural or Mocha finish, each featuring shade and texture variations for a more natural look. Long Beach Collection: Rausch's Long Beach collections is timelessly elegant, simple in design and entirely functional. The materials used—powder-coated aluminum tubes, polyester/PVC mesh coverings and solid teak accents—are perfectly suitable for outdoor use. Note about seaside usage: We do not recommend using metal furniture within three miles of salt water, because the resulting salt build-up may cause finishes to prematurely fade, crack or blister. Royal Botania was founded 21 years ago by engineers Kris Van Puyvelde and Frank Boschman to manufacture outdoor furniture in Indonesia with the emphasis on refreshing design and superb quality, which was something the market lacked. The name Royal Botania is representative for the natural beauty of a lush botanical garden and first-class, "royal class," quality of their furniture. The initial teak-only outdoor lines were soon expanded to include furniture made from materials very suitable for the outdoors: stainless steel, aluminum and synthetic fibers. Blending precision and functionality over the years, Royal Botania became known "for creating the most refined, diverse choise of outdoor collections in the world." Quality: With an eye for details and listening to each and every wish of their customers, Royal Botania guarantees quality in every single step from the creation of their furniture, to distribution and after-sales services. Only the very best materials are chosen, keeping in mind that they have to perform equally in desert heat as well as winter's cold. Environment: Royal Botania only uses carefully selected, mature teakwood, which originates and is harvested in strict accordance with the "sustainable forest" policy, promoted by the WWF. All metal and manmade materials used in Royal Botania's furniture is nearly 100% recyclable. Royal Botania takes direct control on the environmental and social impact of their manufacturing process so that our precious planet is left to our children unharmed. Since its creation in 1964, Sifas has supervised the decoration and furnishings of the most beautiful residences of the French Riviera in a perfectly original In-Out attitude adapted to the region. Now, the In-Out theme continues to develop in the architectural world and particularly in exclusive holiday resorts. In order to furnish these holiday homes, the customer is still very dependent on conventional furniture both for the garden and for the interior. This is why Sifas aims to provide a fundamentally different concept, something uniquely In-Out. This In-Out attitude has developed with the passing centuries in architecture and living conditions and is now renowned as a way of thinking. The garden and the building must be joined together: it's difficult to determine where the house ends and where the garden begins. Designed for generations is how Skagerak Denmark has worded its slogan for years. The slogan covers several key aspects of our activities, approaches and actions. In one respect it means that we make our products to last for generations, both aesthetically and in terms of design, and that design is and has been one of our most important guiding principles for generations. Just as importantly, it means that through our actions, decisions and priorities we consider the needs of coming generations. Thus our slogan relates directly to our environmental policy. Skagerak Denmark continuously endeavors to provide the highest quality possible throughout the value chain. Accordingly, quality also involves an environmentally responsible manufacturing process based on sustainable, renewable resources and—just as importantly—respecting the people who in one way or another are affected by the manufacture of our products. Environmental responsibility deals with more than just the use of sustainable resources. It also entails the service life of our products. When you choose a quality product in a design you like, it will last many years—in terms of both its functionality and its aesthetic qualities. As a result, you minimize the environmental impact of the extraction of raw materials, manufacture and transport. Whether a set of furniture lasts twenty years or has to be replaced four or five times during the course of twenty years makes a big difference—also in terms of the environment. Suitable for use indoors or out, Skargaarden's Scandinavian leisure furniture expresses a tradition of handmade craftsmanship, drawing inspration from 1950's-style bentwood and teak. The simplicity you see at a distance becomes ingenuity and intricacy close-up, highlighting the beauty of the furniture's materials; steel, wood, fabric, leather and glass. Whether you are new to the world of modern design or have always admired the look, staying up to date with today's boldest furniture trends is key to successfully showcasing this style. This does not solely apply to indoor decor concepts. In fact, your exterior living space often dictates the first impression you make to house-guests and neighbors. Utilizing high-end outdoor furniture to grab attention and introduce your own style preferences is of the utmost importance, though sometimes it is difficult knowing where to begin. That is why Curran has put together a comprehensive guide for selecting the absolute best contemporary outdoor furniture. Today's top designers are featuring modern outdoor furniture pieces that consist of dual, contrasting materials such as teak and aluminum. All of the teak wood outdoor furniture Curran offers is first grade—free of knots, and high quality. The clean, light appearance of this material is central to contemporary European outdoor furniture concepts. Barlow Tyrie is one manufacturer that blends textures and tones of varying materials—teak, glass, ceramic, Textaline and powder-coated aluminum in its collections, adding intrigue, comfort and visual appeal to any exterior area. Sharp lines and atypical shapes are classic identifiers of high-end outdoor furniture. Rausch, for example, manufactures statement pieces that feature boldly angular forms, such as the one-of-a-kind Platform collection. Even the chair legs and table designs have stark edges that leave a lasting impression. From contoured lounge chairs to fiberglass recamiers, these modern products can quickly turn a forgettable outdoor living area into a favorite gathering place brimming with aesthetic appeal. An important aspect of top quality outdoor furniture is the divergence from typical furniture heights, widths and layouts. Deep seating options that sit low to the ground allow for easy reclining and a look of luxury. Another way to add dimension to the space is to alternate between light and dark pieces, drawing the eye to focal points throughout the exterior living space. Sifas showcases many of these very concepts in its modern outdoor furniture lines, such as the luxurious Komfy. Curran works with many suppliers that have decades of experience and proven success, in addition to their unforgettable designs. These contemporary outdoor furniture collections are top quality and built to last. We encourage you to browse our site for the European outdoor furniture that can help you perfect your exterior space.